This high quality manual fill filter coffee machine from Bravilor is perfect for direct brewing into a vacuum flask or airpot dispenser. With an Output of 19 litres per hour it easily brews a full Bravilor Furento 2.2 Litre airpot (sold separately) in 6 to 7 minutes. 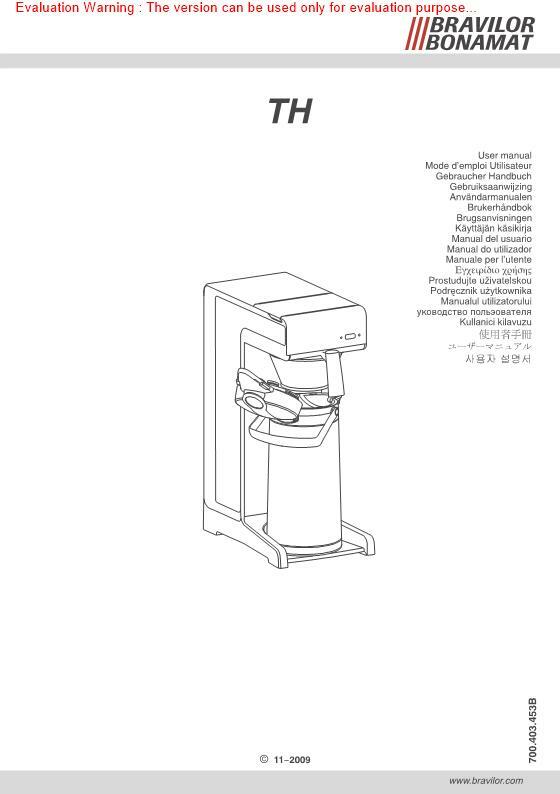 As the Bravilor TH coffee machine is manual fill, it can easily be transported, making it perfect for mobile catering or for businesses with limited access to a mains water supply.This Bravilor machine is designed for commercial use.